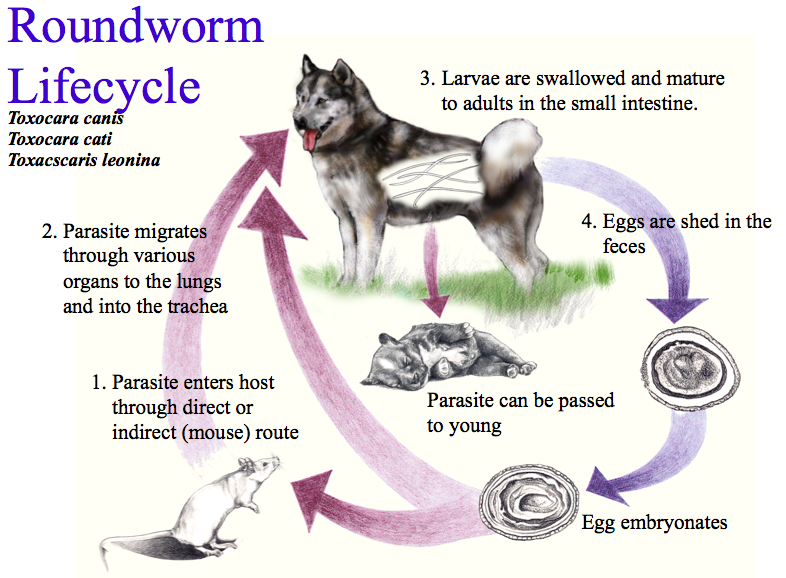 How do pets get tapeworms? A tapeworm segment is a packet of eggs that a pet eats by accident when it is eating something else. The “something else” is an intermediate host for the tapeworm. There are two kinds of tapeworm, with different hosts. One kind lives in the gut of fleas. Of all the health concerns that pets are exposed to, the one that is probably the most common, yet least treated, is roundworms. The reason is that pet owners may not realize that their pet has a parasite, or that the parasite can be picked up by people.